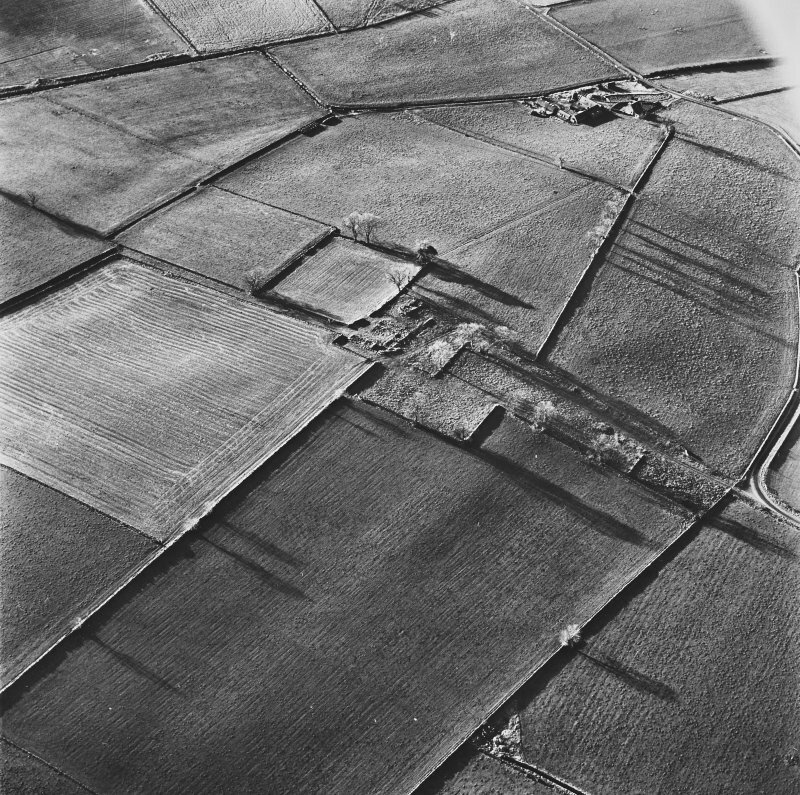 General view of Milton of Auchinhove. 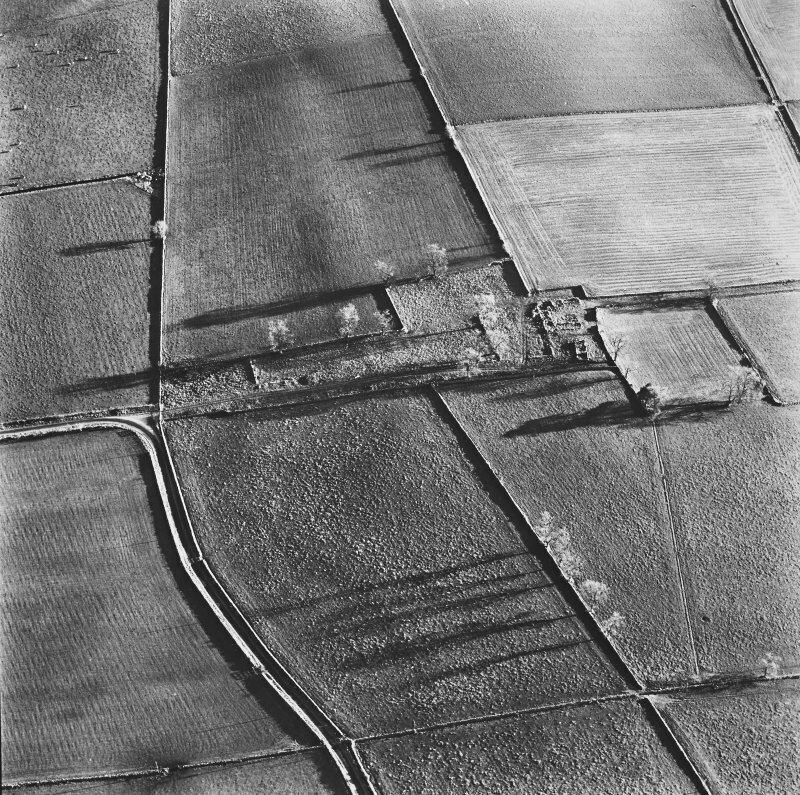 What remains of the walls of Auchenhove Castle is now incorporated with the steading of Easter Mains. 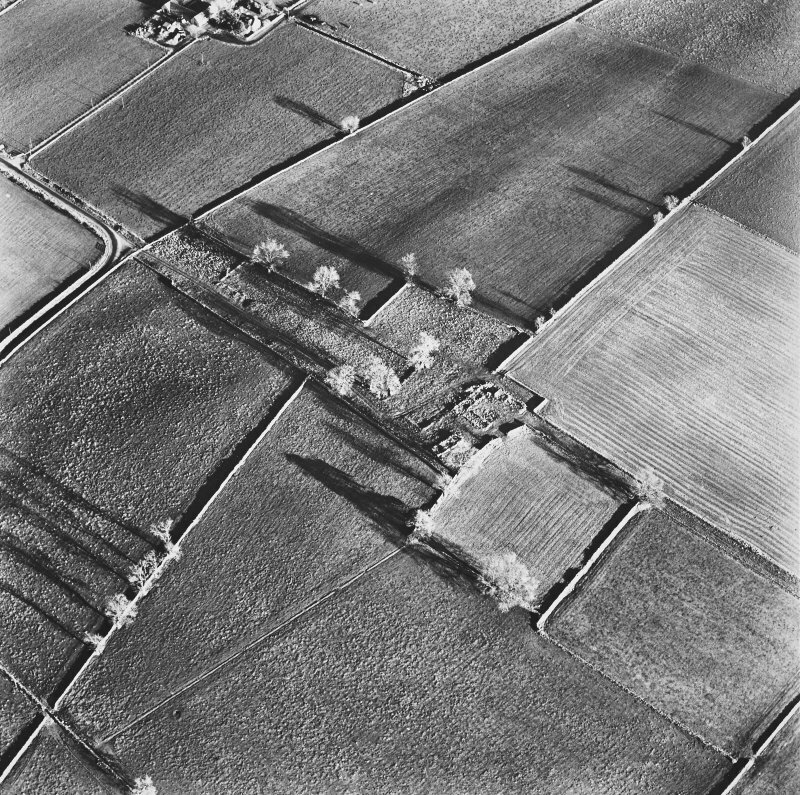 The estate of Auchenhove belonged to the Duguid family from about 1434. 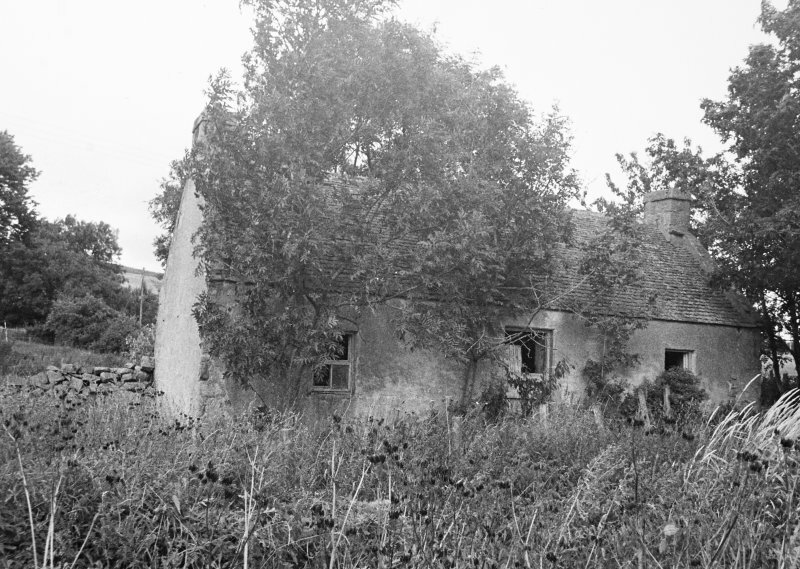 The castle, which may have been built in the late 16th century, was burnt in 1745, and only its foundations may be traced amid the remains of derelict farm buildings. 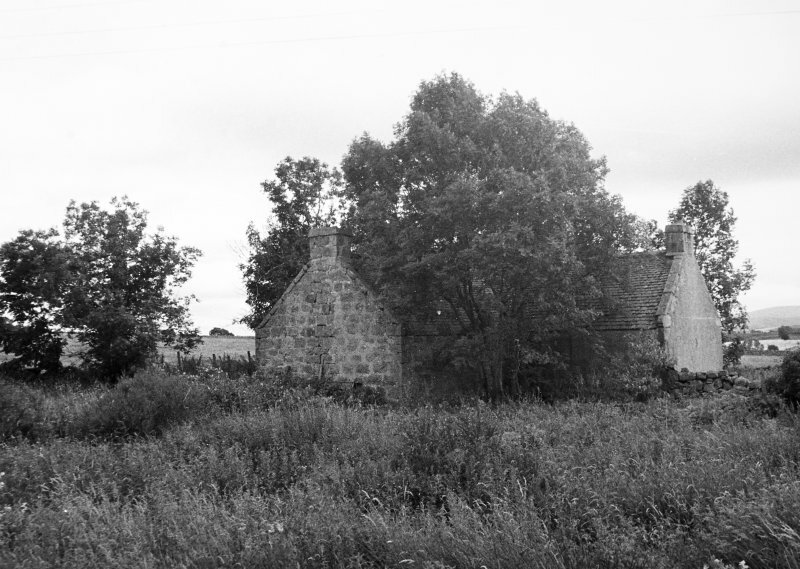 It appears to have been a late courtyard house, with a causeway approach. A I McConnochie 1898; W D Simpson 1929. 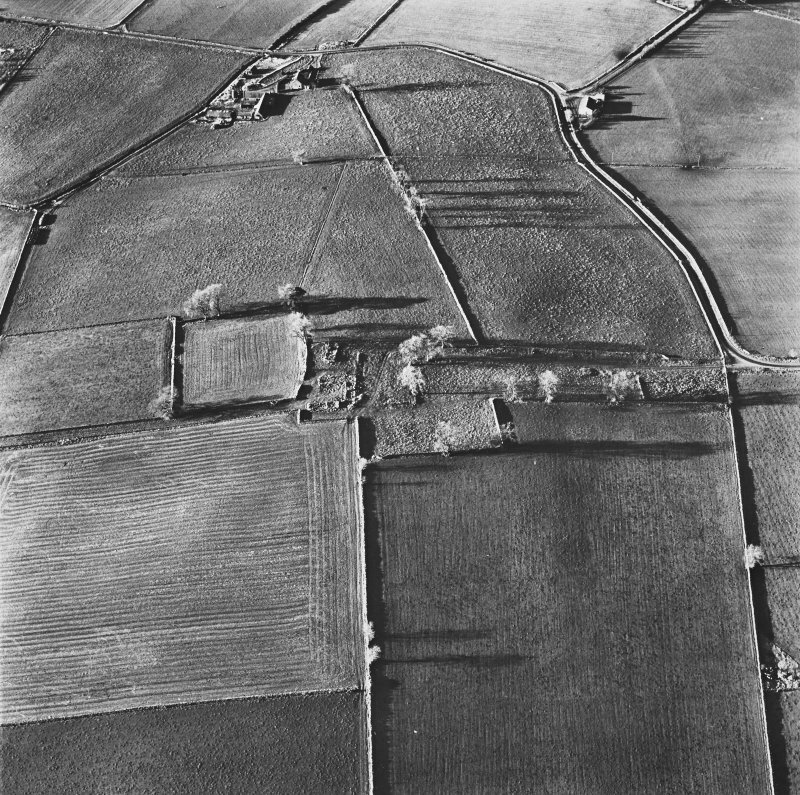 There is no definite trace of Auchenhove Castle beneath the ruins of later farm buildings. 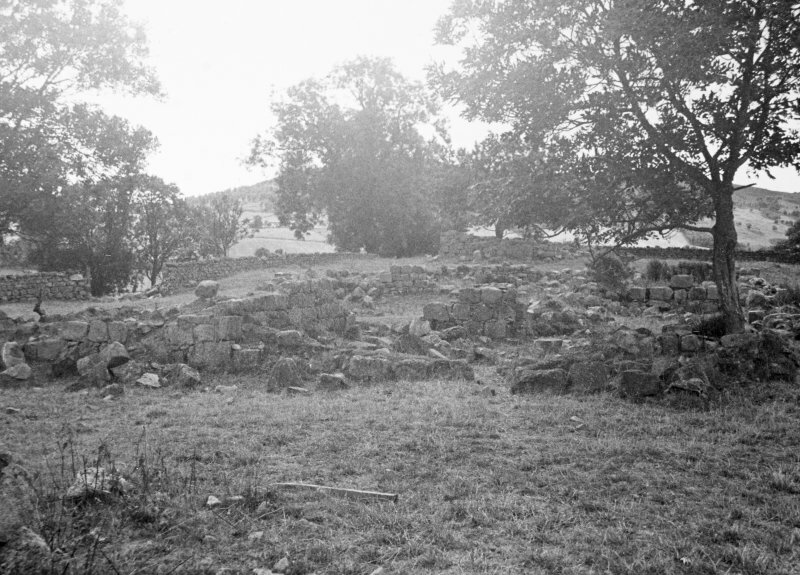 The walls of the later buildings, 0.8m thick, contain large facing stones, probably from the castle. 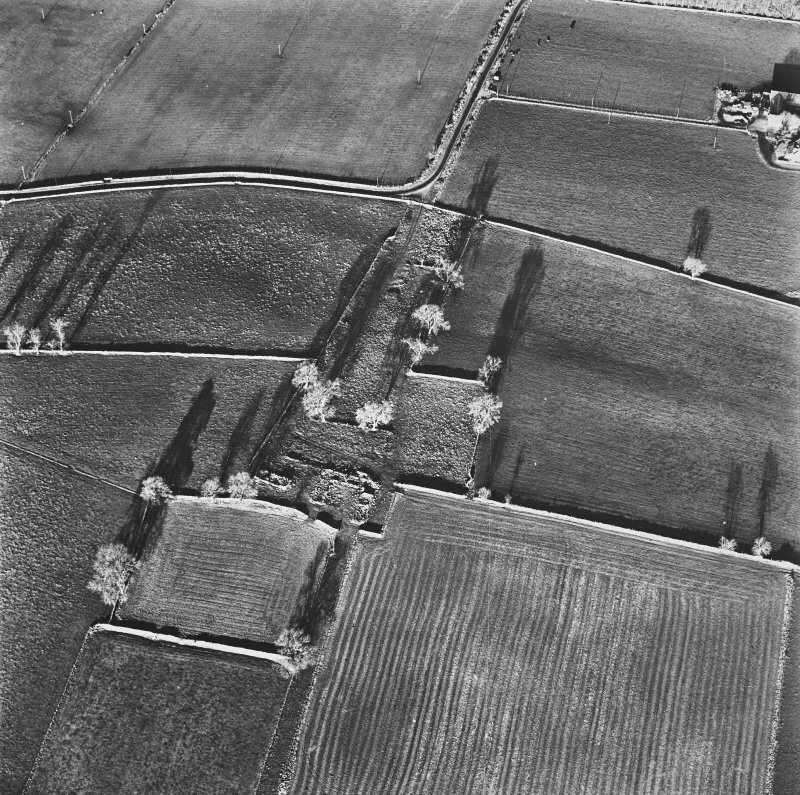 Visited by OS (NKB), 25 October 1968.